Children's daily lives are affected mostly by decisions made by parents, teachers and urban planners. Together they influence where, how and how long children play. In recent years, children's outdoor play has declined. For health and pedagogical reasons, it is important that we stimulate outdoor playing. To realize this we need a new approach on public spaces for kids. This approach doesn't start with picking some elements from catalogues of play equipment companies or landscape architects. 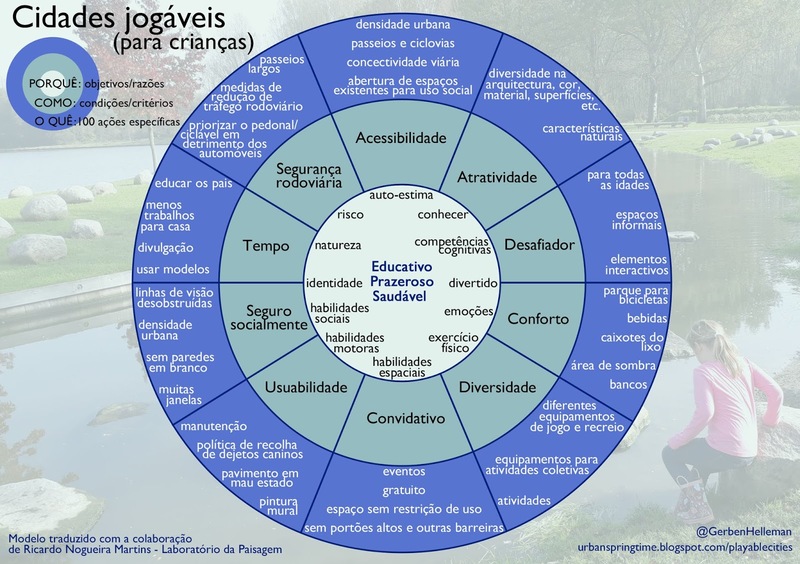 We should start at the other end by taking into account the bigger picture: the purpose (WHY) and the conditions (HOW) to realize playable cities. Only then, do we know which actions (WHAT) have to be carried out. When we think about child-friendly public spaces, we usually start with the wrong questions. 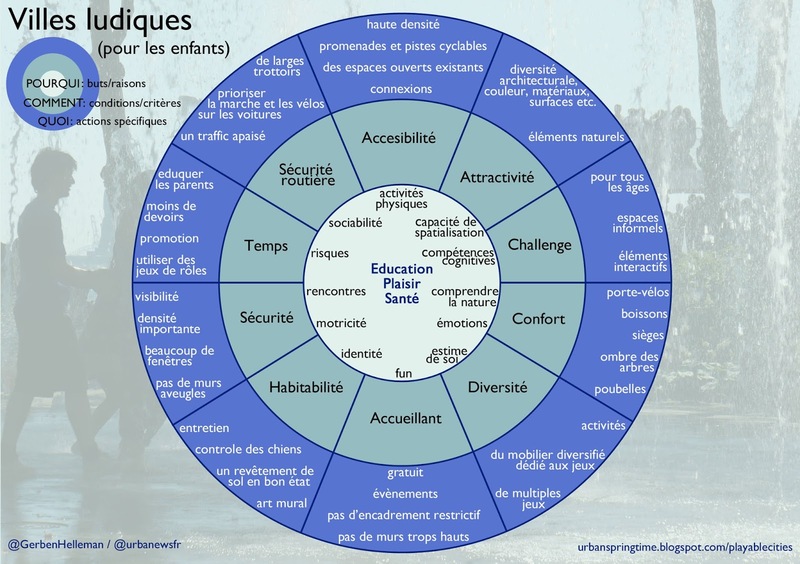 We tend to focus on adding playing attributes to existing playgrounds, but to choose the right actions we should start by looking at the main goals. The purpose is to stimulate outside playing, because it improves the health of kids, enriches their skills and most of all it gives them pleasure (WHY). These higher goals can only be achieved when the right conditions are created (HOW). For example public spaces should be accessible, attractive, challenging, divers and inviting. The different actions and efforts (WHAT) such as design, programming and ordering equipment are a result of these sub goals and not the other way around. In total, I come to 100 measures. Examples of these actions are broad sidewalks, climbing structures, greenery, ground markings, shared spaces and bike racks for kids. 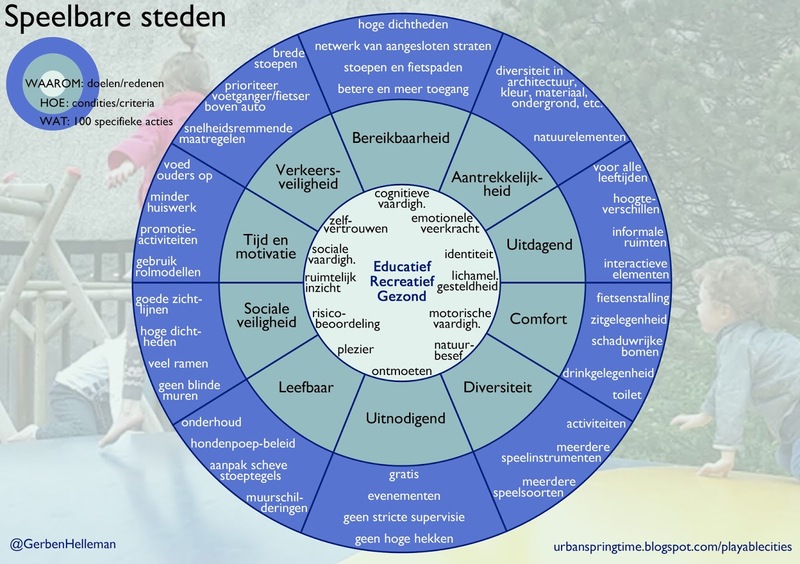 With in the middle the underlying reasons (WHY), in the second circle the factors that determine whether a public space attracts or rejects kids from playing (HOW) and in the outer circle examples of some of the specific actions (WHAT). Together they are the ingredients for making child-friendly cities. 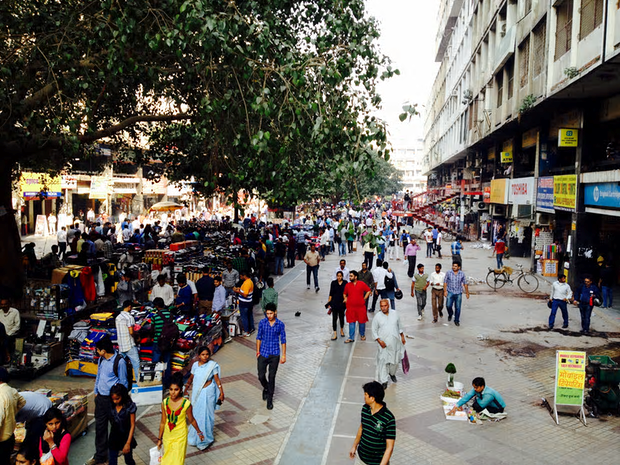 Cities are too often not planned and designed with the human dimension in mind. Let alone with those of children. One of the reasons is that most of the research that has been taken place is dispersed and not absorbed into practical measures. Which makes it not readily accessible either to policy makers or the general public. With this model I hope to fill that gap. 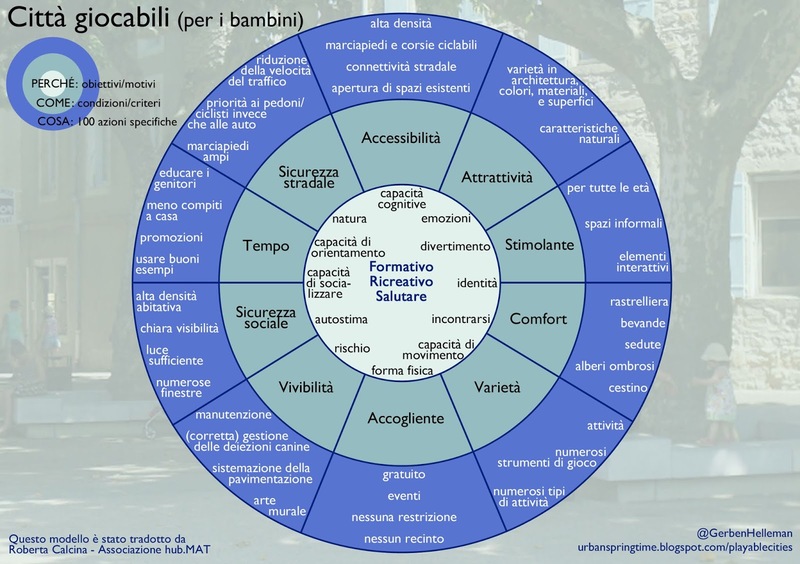 The advantage of this model is that it involves the higher goals and at the same time it is a toolkit for concrete actions. The model is also easy to understand and communicate. That's necessary because within a city a lot of different actors are involved in the amount of time a kid can play in a vibrant, child-friendly environment. 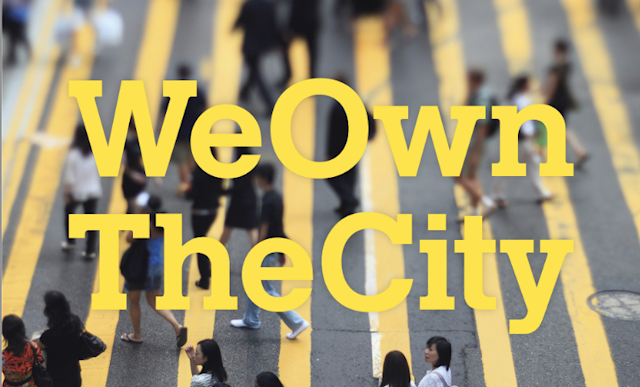 Such as architects, city planners, engineers, entrepreneurs, municipal officials, landscape architects, politicians, teachers, traffic experts, urban designers, welfare workers and off course residents (of all ages). They all play a role, varying from strategic level to operational level and everything in between. The model is a tool to organize collaboration, to unite interests, to inform, and to inspire. A tool that stimulates to walk a common path. It is not a definite framework, but a source of inspiration and gives clarity in the broad options and actions which must be taken into account to realize the overall goals. The layout of the model is inspired by the Golden Circle of Simon Sinek. He studied the success of inspired leaders and influential companies and found that the key to success lies in the way these leaders and organization think, act and communicate. They don't work from the outside in, but from the inside out. They start with the 'Why' (your purpose, passion, belief), then the 'How' (strengths, values) and finish with 'What' (the products, services). 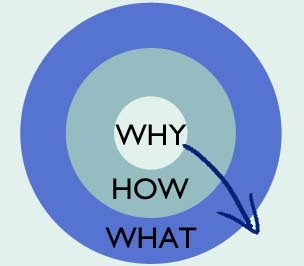 They start with the 'Why' because it is the most important message that an organization or individual can communicate. This is what inspires others to action. The 'What' is of course also important, but it doesn't stimulate other people to action and it loses sight of the bigger picture. Successful people and organizations express why they do what they do rather than focusing on what they do. This wisdom also applies for professionals and residents who want to the realize good public spaces. The model is filled after an extensive desk research of international literature and websites about public spaces (for kids). 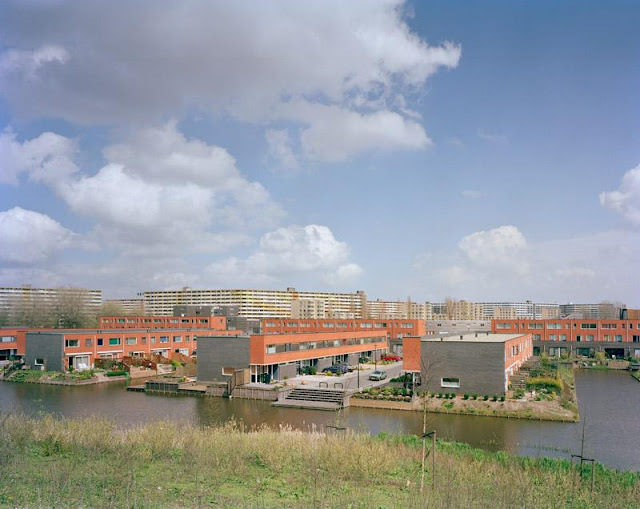 Using the work of for example, Mikael Colville-Andersen, Jan Gehl, Tim Gill, Jane Jacobs, Kaboom!, Kevin Lynch, Project for Public Spaces (PPS), The Bernard van Leer Foundation (Urban95), The City at Eyelevel, and William H. Whyte. But also using the results from scientific research published in international academic journals such as 'Childeren's Geography' and policy documents from cities. You can find all the sources I used in a separate 'blog post'. Good work Gerben! Great initiative. Great stuff - and thanks for the name check. 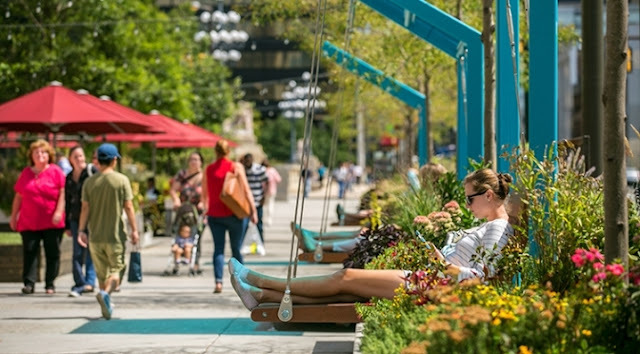 Playable cities are not just good for kids, of course. 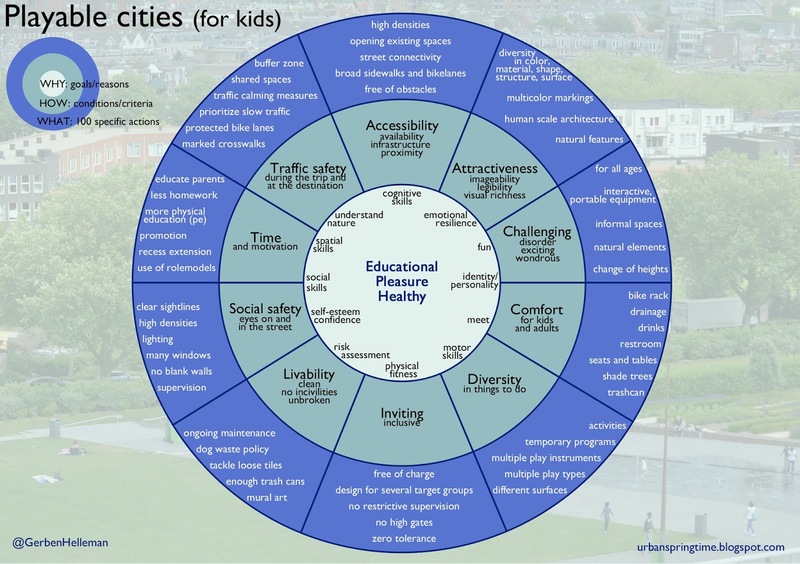 I'll have more to say about this in my report on child-friendly urban planning - out soon! Our ability to #play and engage our world creatively (for kids and all of us) is a critical indicator of #CommunityWellbeing. This is a good resource for designing for children to play.